Returning home when I’ve enjoyed a different location, even if it was only a short stay, unsettles me. In England I miss the sunshine of Tenerife; when I’m here, I miss the all the yummy choices I can find in English supermarkets; in West New York I missed the cosmopolitan atmosphere of Europe; in cities I miss the peace of the countryside, and in the countryside I miss the buzz of cities. I suppose the only answer is to keep travelling……if only it was feasible! Returning last week wasn’t nearly so bad as usual though, because the following day I shot straight up to Santa Cruz to meet some friends who had a brief stopover on their cruise. The pleasure of meeting up and spending time with friends apart, it refreshed my fondness for this delightful, little city, as I whizzed them around a small part of it, and so made me appreciate where I am. 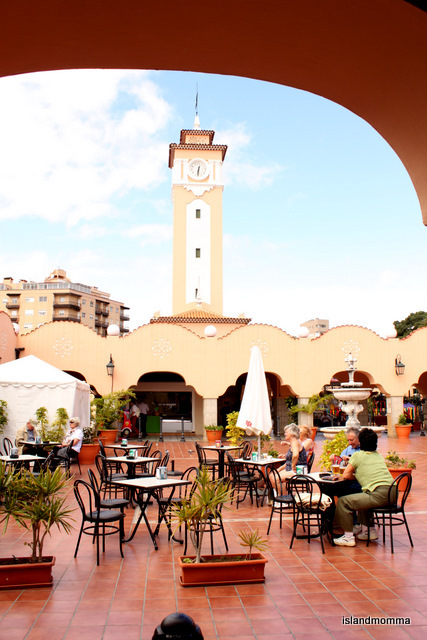 If you land in Santa Cruz on a cruise, or if you drive up from the South your first stop will almost certainly be La Plaza de España. It is, for many people, the heart of the city, although, not, I think if you live there. 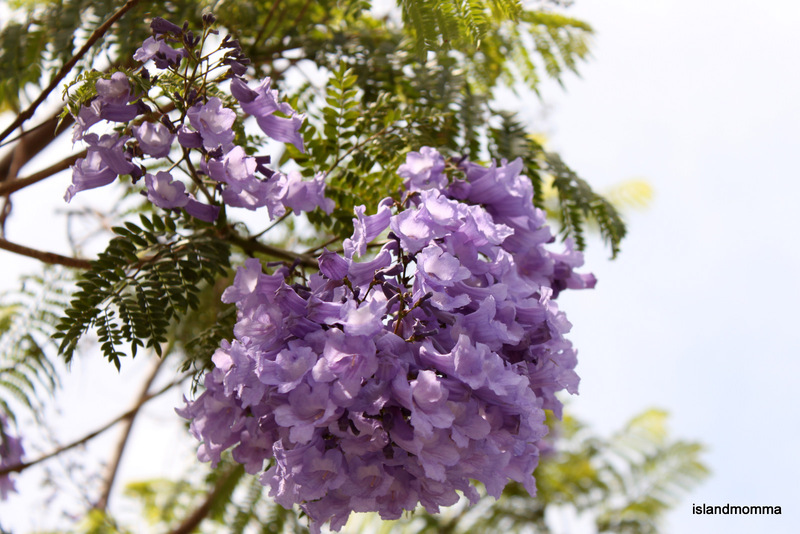 It is framed on one side by the sea and the docks for the “nice” boats (the cruise ships, yachts, sometimes tall ships and the ferries), on another by the island government offices and the Post Office, and on the other two by cafés and pleasant, tree-lined avenues, at the moment with jacarand in glorious bloom, and beyond those the spectacular Anaga Mountains. We walked up from the security post, which was a near to my friends’ ship as I was allowed, and emerged onto the Promenade just opposite the Plaza. Almost two years ago a complete remodelling of the square was completed. The central roundabout, on which stood the War Memorial, had become a complete traffic snarl-up, and the noise and fumes definitely detracted from the pleasure of sipping an expresso in one of the bars or cafés thereabouts…..remember this is a year-round good climate, and coffee sipping is almost always conducted outdoors. Me a couple of days after the opening of the remodelling. 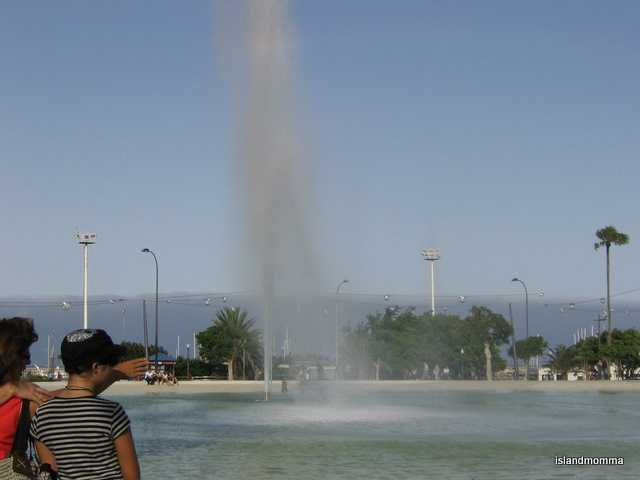 The area is now dominated by a shallow, modern, ornamental pool (I can’t bring myself to use the word “lake”), from which spurts every now and then (cannot fathom the times out) a huge water spout. It looks quite effective, as you can see in the few photos I have ever managed to get of it functioning, but it has caused consternation amongst local cab drivers, whose cars get sprayed every time it is in action – given that there is almost always a constant breeze from the ocean! Other than that, it has been controversial in general. Being a modern design, does it compliment, detract or enhance the existing architecture? Personally, I like it, and think it will improve with time. On its “banks” are three very low-rise buildings, which resemble caves (this I presume to be intentional, since ancient cultures here were cave dwellers, so I assume it is a nod in the direction of history, as there are other aspects of the design which are similar acknowledgements of the island’s past). They are covered by local plants, so that from some angles they don’t even look like buildings, and given time the plants will grow and spread, and look, generally, much nicer than they do right now. It was interesting to note, though, that it was the pool rather than the 1930s Memorial to the Fallen which grabbed my friends’ attention. 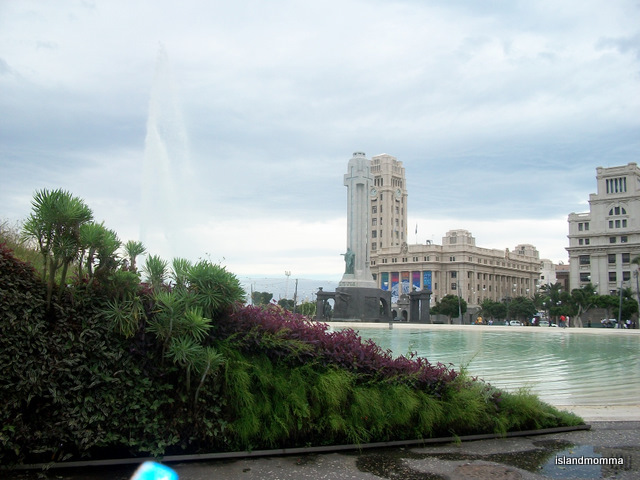 The typical-of-its-era Art Deco-ish tower rises high above the Plaza, and dominates the Square. 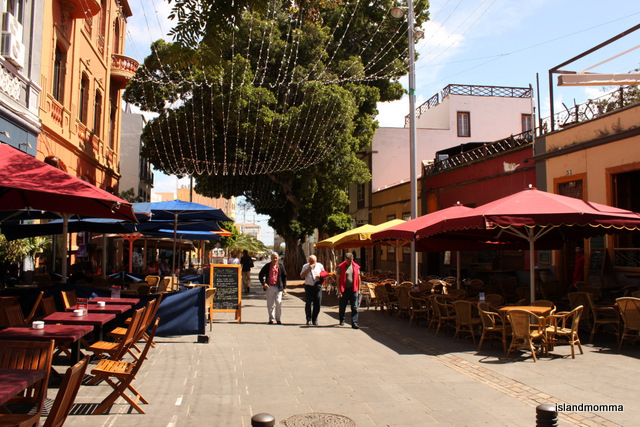 Most tourists from Plaza de España will head straight up the adjoining Plaza de la Candelaria and to the pedestrianized walkway, where they will find plenty of bars and shops directed purely at them. Many of the façades have been renovated in recent years, or are being renovated at the moment. 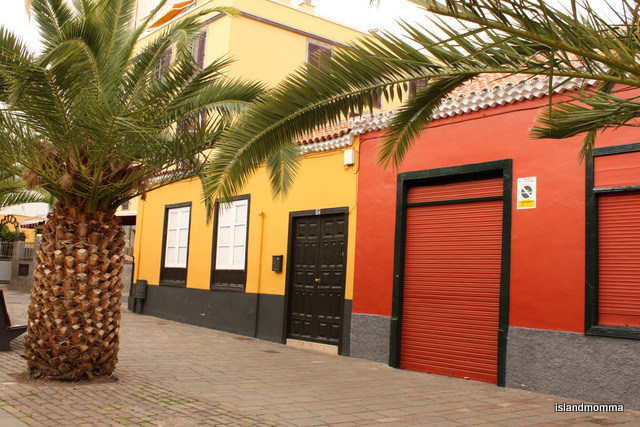 It’s pleasant, the shops reflect current fashions or offer the so-called duty free goods for which the Canaries are famous in Europe, but it isn’t really representative of Tenerife, unless as a symbol of the tourism on which we so much depend. 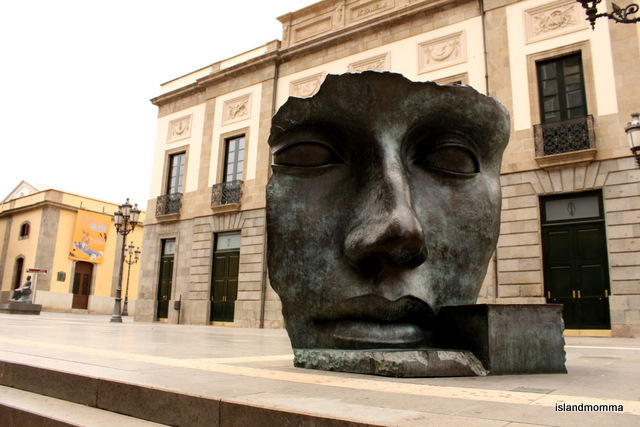 But my task was to show my friends glimpses of the city they probably wouldn’t otherwise have seen, so our little tour instead diverted to take a look at Teatro Guimerá and the impressive sculpture which sits outside. The theater opened in 1851, and inside is all red velvet and gold, as you would expect, reminiscent of theaters seen in old Western movies. It is, in fact, the oldest theater in the islands, and to sit in the gods there is a seriously scary experience! Outside, is, for my money, so representative of the blend of old and modern in this city, this stunning sculpture by Igor Mitoraj. Mitoraj’s work can also be found in Canary Wharf and in Yorkshire Sculpture Park by the way. This one is entitled Per Adriane, and, no, I hadn’t a clue who he was until I looked him up! In the photo course I am doing at the moment we just touched on HDR, and I can’t wait to go back and make an attempt at a better photo, but this will have to do for now! See how the sky fades to white – but I’ve seen that on professional photos of this same scene, so maybe not so bad as I think! From the theater we crossed the Serrador Bridge over to the Mercardo de Nuestra Señora de Africa. 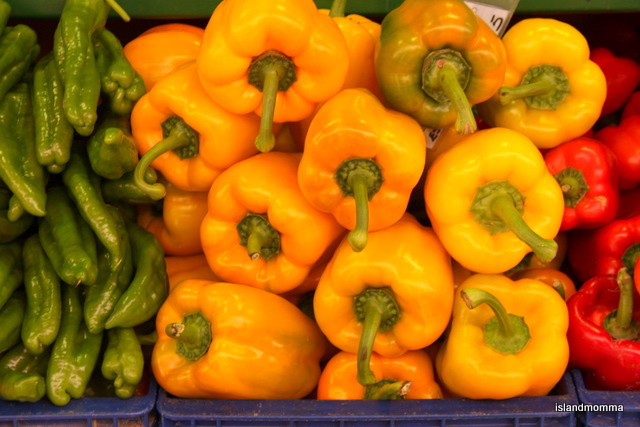 I never cease to take pleasure in this market which showcases fresh fruits, vegetables, flowers and meats in the good, old-fashioned way. A central courtyard provides a place to sit for a while if your packages get too heavy…….note: the coffee is good, and the service top-class friendly with a grin, and there is a shady, little childrens’ playground too, which my friends’ little girl loved. The present building dates back to 1943, when the city outgrew the old market, and a bigger one had to be built. It has an interesting story of reinventing itself over the years. Perhaps another time? 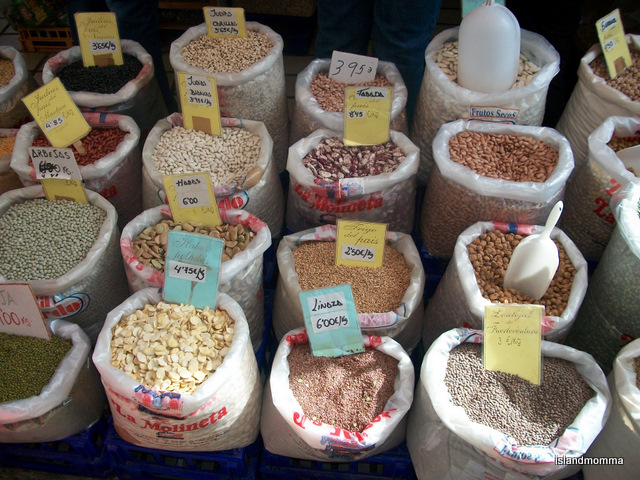 From the market we ambled back towards and under the Serrador Bridge to stroll down the delightful Calle Noria. The first time I came across this street, by accident, some years back, it was in the final stages of restoration, and reminded me of pictures I’d seen of the colourful streets of old Habana. Since then the restored premises have been taken by restaurants and bars, and a vibrant nightlife centers around the street. It even has its own Facebook page, listing coming events http://www.facebook.com/#!/calledelanoria?ref=ts I think I’ve eaten in all of the restaurants over the past few years, and they were all, without exception, absolutely first class, but if I had to chose one it would be “Bulan”. If you get chance to eat there, do go inside too, to look at how the old interior has been decorated to make it an original venue with lots of ambience. To get a good look, you need to go during the day, when it’s quieter, at night it fills up with trendy, young city folk. At the end of the street sits la Iglesia de la Concepción, the city church of Santa Cruz. 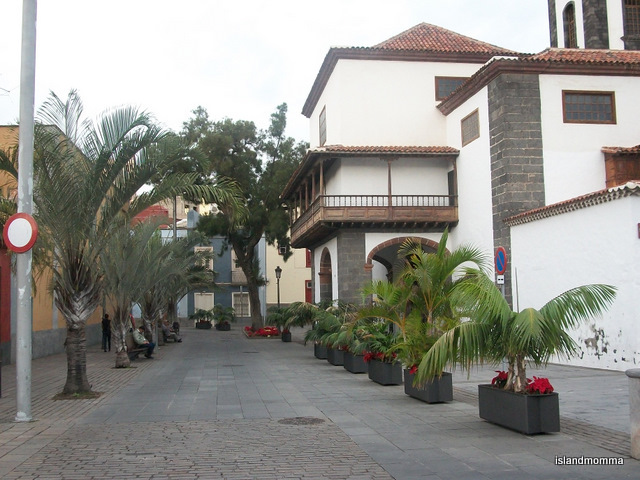 It is sometimes referred to as a cathedral, but it isn’t, the island’s cathedral is in La Laguna. The church is now a little worse-for-wear after storms in February, when many archives, stored in the basement, which flooded, were lost. At the moment the entrance is still blocked by sandbags, but local tv reports that many, willing volunteers are helping to restore and repair this building, which dates back to 1500, when construction began to replace the small chapel first built where the area fell to the Spanish Conquistadors. 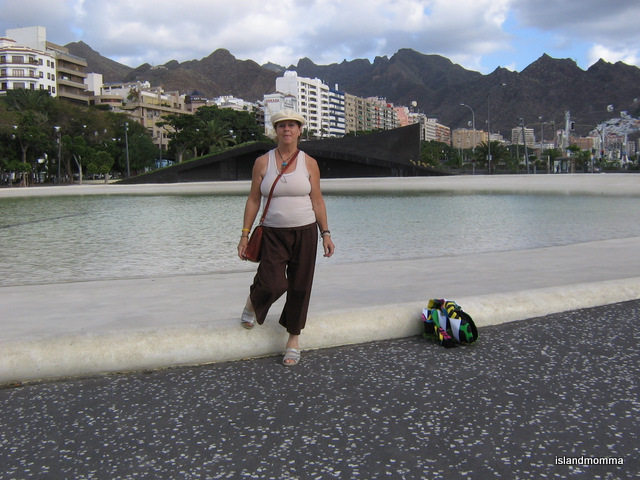 For our next stop we needed to go by car, and in contrast to what I think of as the Spanish-colonial style architecture of the church and the old buildings we seen, there rose in front of us next, as we headed for the car park, the magnificent Auditorio de Tenerife. The building seems to curve, like a huge wave from ocean to earth, and is a the purest white, sparkling in sunlight by day or dramatic lighting by night from the thousands of pieces of purest white mosaic which adorn it…..imagine Gaudi, but stunning, stunning white. My snap does this magnificent structure no favors at all. I snapped it quickly from the roof of the bus station a while back, and one day I must get some decent photos. 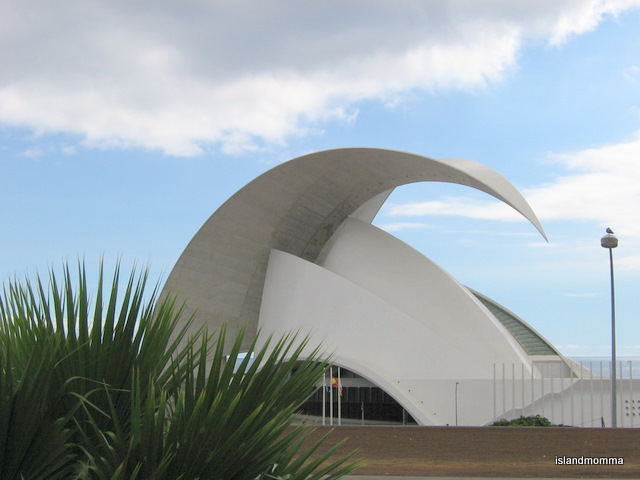 Designed by world-renown architect Santiago Calatrava, it was inaugurated in 2003. I know very, very little about architecture, but have come to now often recognize the flowing lines typical of this brilliant architect/designer, one of whose current projects is the new transportation hub in the new World Trade Center complex. Do check out his website, which is awesome http://www.calatrava.com/main.htm . This Opera House is well used, and truly is a community center for the island, if not the province. As well as operas I’ve attended symphony concerts, jazz and blues concerts, and world music events, and friends have been to ballet, dance and musicals staged there. It has also hosted some major conferences. In addition to the acoustically perfect main auditorium, there is a small, intimate venue and a huge outdoor space, where you are cooled by the sea breeze on hot Summer nights, and feel as if you are a part of the performance you are watching. This day there was no time to visit, only to admire from afar, cruise schedules being what they are, and given the need to at least dip a toe in the warmer shores of the North Atlantic, so we headed for the local beach at Las Teresitas, about ten or fifteen minutes drive towards the mountains. This beach, amazingly, is not much frequented by foreign tourists. 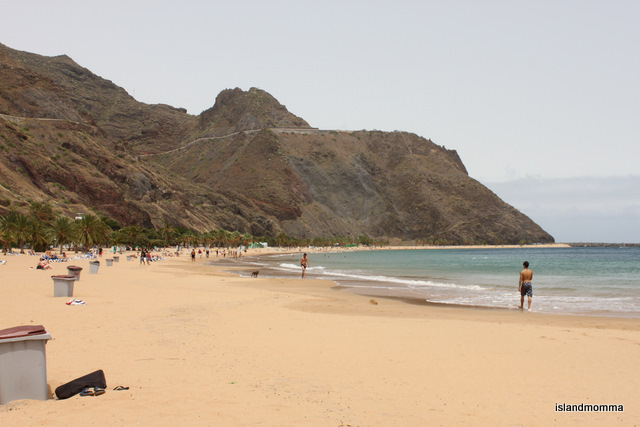 It is easily the prettiest beach in Tenerife, nestling under a stunning mountain backdrop, and boasting a glittery yellow/white sand which was imported from the Sarhara Desert in 1973, before exporting sand from there was no longer feasible because it ceased to become a Spanish colony (oh, that’s a long, long story too). It often features on postcards, but its surroundings are virtually undeveloped. Rarely does a day pass without some local newspaper or other carrying a story about the scandal and corruption surrounding the proposed upgrade and improvement. I always kind of bemoan the advancing tide of tourist-aimed “improvements”, but my brief visit on this day decided for me that this is a case where it’s needed. The beach itself is delightful, one of the few on this breezy island where palms sway, and the only one with sand of this color to give it that tropical feel. Amenities, however, are few and dingy. I hadn’t been for a while, and imagined it had changed for the better, as beaches in the South have, but when we entered a dirty hut, which served as a bar, in search of ice cream our request was answered by scruffy man in dirty clothes, who seemed a bit threatening, with a brief “no”. 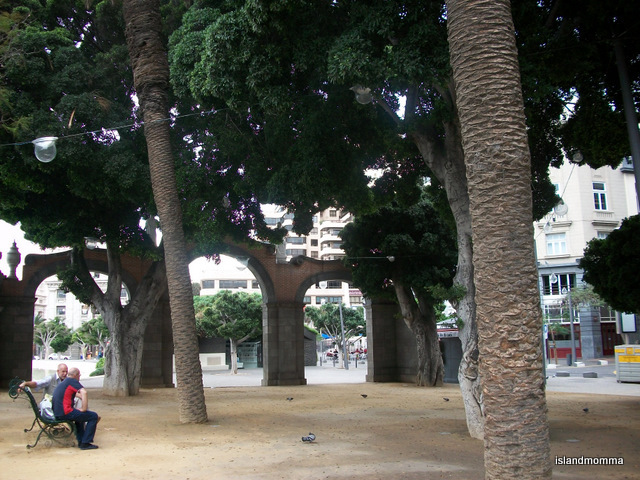 It took me right back to the “old days”…… obviously he had never heard of the “Tenerife Amable” (Friendly Tenerife) campaign which the government was promoting a couple of years back…….more thoughts on that another time. Ice creamless, then, we headed back to the harbor and the floating mini-city of luxury, where, I realized ruefully, my friends would be able to get all the ice cream they desired, and served with a smile. Santa Cruz is a beautiful, vibrant city of contrasts – contrasts of architecture, of peoples, and sadly, contrasts of attitude. This was just a short tour. I’ll take you on another some day if you like. 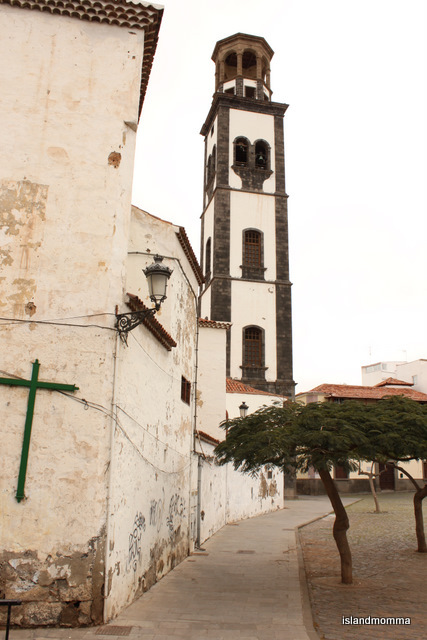 Categories: Uncategorized | Tags: anaga mountains, beach, calle noria, canary islands, church, city, Islas Canarias, la iglesia de la concepción, las teresitas, market, nuestra señora de africa, opera house, plaza de españa, santa cruz de tenerife, santiago calatrava, teatro guimerá, tourism, Travel | Permalink.